Once a thrilling luxury, hotel room service is disappearing, having failed to meet the changing food preferences and lifestyles of today’s travelers. In response, hotels and savvy hotel-adjacent restaurant operators are getting creative to meet the modern consumers’ desire for convenient, high-quality and affordable fare — and, often, to eat like a local — when traveling. Additionally, for a growing number of hotels, running a restaurant is no longer a lucrative proposition due to higher labor costs and shrinking demand. Denver-Based Sage Restaurant Group has built its business around hotels, opening restaurants designed to appeal to both locals and visitors alike and situating them adjacent to hotels across the country. “I always had the notion that hotel restaurants didn’t need to be as bad as they were and was confident we could shift this industry paradigm and reputation with consumers,” said Sage Restaurant Group co-founder Peter Karpinski. The most recent addition to Sage’s portfolio of concepts, for example, is Emporium Kitchen and Wine Market in Savannah, Ga., an all-day restaurant and wine market that opened June 1, next to the Perry Lane Hotel. “We’re looking to give our guests an indigenous experience,” said Doug Snyder, Emporium’s general manager of food and beverage. Guests can order from a reduced version of the Emporium menu and have it delivered to their room on an antique cart, for example. Select items include made-from-scratch steak frites, quinoa breakfast bowls, pasta primavera and late-night snacks, such as a chef’s meat-and-cheese board with regional accoutrements. In-room dining is priced the same as the a la carte dine-in menu, with a small surcharge of about $1 per item to cover the cost of service and packaging. Guests also have the option to purchase a number of grab-and-go items from the market, and to borrow or buy a cooler bag to take their meal with them on a day of sightseeing. “It’s a concept we think could have a long shelf life and could be appreciated in a lot of different locales,” added Snyder. Rather than compete with the plethora of food-and-beverage options right outside their doors, some urban hotels are partnering with existing local restaurants or established fast-casual concepts to deliver meals to guests. 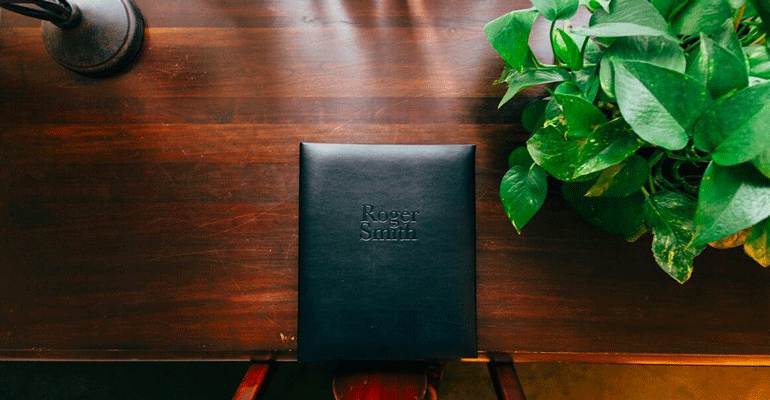 Among those urban hotels embracing local eats is the Roger Smith Hotel in Midtown Manhattan, which closed its a la carte restaurant a decade ago. Then, a few years ago, Frigola initiated delivery partnerships with several of the local restaurants he had long recommended to guests. Today, the hotel offers an in-room dining guide that allows guests to order — and have delivered directly to their room — curated items from five local restaurants. Current partner restaurants include Sipsak (Turkish), Darbar (Indian), Chazz Palminteri (Italian) and Morning Star Café (American diner). The prices are the same as ordering directly from the restaurants, plus a $3 delivery charge for the bell staff, which brings the delivery up to the room from the lobby. For added convenience — and to better accommodate the 80 percent of the hotel’s guests who are international and use foreign currency — the cost is directly added to the room bill. “We don’t get any extra for adding this service, but for the guests it’s a huge value,” said Frigola. Frigola has also brought in an outside caterer to provide breakfast to guests, including croissants, cheese, hard-boiled eggs, coffee and tea for an additional $12 per person per day. Being able to promote that hotel rooms include breakfast is a major selling point, he said. New York-based Shake Shack is among the fast-casual players to seize the opportunity to align itself with a hotel. As of last year, the Shake Shack located in the ground floor of the restored Chicago Athletic Association Hotel across from Millenium Park in Chicago offers guests the option to have a ShackBurger, the SmokeShack, Shago-ago Dog, Publican Pork Sausage and frozen custards brought up to their room. To place an order guests don’t need to dial the restaurant, but just press the in-room dining button on the room phone. Haussman said the most notable trend in hotels is grab-and-go, citing a number of properties across the country that are offering prepared sandwiches, salads and ready-to-drink beverages to hotel guests. Most of the 90-plus Aloft Hotels in the U.S., for example, don’t have a full-service restaurant. But the Marriott International brand earlier this year launched Re:fuel by Aloft, a refreshed grab-and-go program that now includes a hot breakfast for guests on site. Morning offerings include 13 portable “breakfast pots” with made-to-order dishes like quinoa with mushrooms, kale, basil, grape tomato, turkey sausage, poached egg and lemon vinaigrette; mini pancakes with berries, granola, maple syrup, mint leaves and lemon ricotta; or sweet potato hash with poached egg and scallions. Guests can place their order using digital kiosks. In an extremely tough restaurant market, hotel dining presents a promising avenue for operators to grow their business, argued Susskind of Cornell.